Wow, January was certainly a poster child for the power of Mother Nature. The really good news is all that the moisture we received in the form of rain and snow has gone a long way towards helping to recharge our water storage capacity, thereby reducing drought's impact. For those who went through the Little Valley fire, the Shooter fire, or live in flood prone areas the flooding and erosion have added another layer of headaches and stress. Here at Greenhouse Garden Center, we experienced significant damage to the road on the south side of our property - Rhodes Street. We are very grateful to Carson City for all the help we received during the flooding. 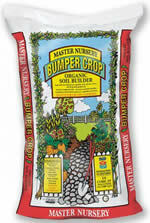 This is where we receive all of our merchandise, soils and plant material. As a result, we were a few weeks behind schedule but are now up and running with new shipments of gardening products arriving weekly. New plant material will start arriving the first part of March. Cooperative Extension has some really good resource material on Fire Adaptive Landscapes, Stabilizing Steep Slopes With Plants and Erosion Control Structures, and Selected Native Shrubs Of Northern Nevada available on the internet. The Washoe State Tree Nursery, a Nevada Division of Forestry nursery, also has an excellent site. Don't forget us here at Greenhouse Garden Center. We have the largest inventory of trees and shrubs in Northern Nevada and a knowledgeable, award-winning staff ready to help you with all of your landscaping needs. We are kicking off February with the start of our weekly Saturday seminars. Don't forget, attend a seminar or workshop and receive a 15% off coupon on 5 pieces of regularly priced merchandise. We do ask $2 per class, which we use to help defray the cost of office supplies for the classes. The excess is donated to local food banks. If you are interested in Bonsai, Naomi Borowick, will be our speaker for Bonsai 101 on February 18th. This will also serve as the first meeting of the new year for our Bonsai club, held monthly here at Greenhouse Garden Center. Workshop: "Easy Gourmet Sprouting," Speaker - David Ruf, 1 PM, $10 fee includes sprout seeds and sprouting jar, Reservations Required. Seminar, "Bonsai 101", Speakers: David Ruf and Naomi Borowick, 1 PM, Reservations Required. Find out about our Bonsai Club! Greenhouse Garden Center has a full-time position available, Lead Gift Shop Cashier and Decorator. This position requires superior customer service skills, excellent computer skills and familiarity with POS systems and an excellent understanding of retail decorating. Apply in person, no phone calls or online applications please. Weekend work is required and salary depends on experience. Many critters - including deer, rabbits and voles -are looking for food and protection from the elements in the winter. Greenhouse Garden Center features a full line of Messina Repellents to prevent plant loss or structural damage from these critters. Messina Products are all-natural and humane. They are pleasant smelling and the liquids dry clear and odor-free. Best of all, they are long lasting - up to 30 days regardless of weather.